On Monday, December 31st, DC Daily closed out 2018 with a special slideshow featuring art from some of the most memorable comic moments of the year. Everything from Action Comics #1000, Heroes in Crisis, Doomsday Clock, the Batman-Catwoman wedding that wasn’t, and many more moments were featured. Did your favorite DC moment of 2018 make the list? On Tuesday, January 1st, John Kourounis was joined by John Barrowman for a special DC Comics geek-out session! While talking about Barrowman’s history as a DC fan he dropped a bombshell. “I auditioned for Superman,” he revealed. Barrowman explained that he had tried out for Superman Returns but had a feeling he was too old. “I could be Superman’s dad," he added. When asked what DC role he’d like, Barrowman said he once pitched a revival of the obscure science-fiction team Star Rovers, in which he could play Rick Purvis. 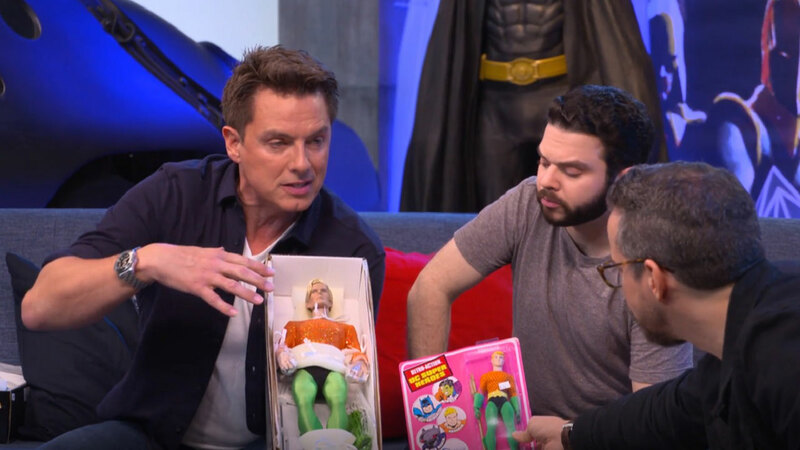 On Wednesday, January 2nd, John Barrowman introduced a new segment called “Barrowman’s Toys”, in which he showed off some of his DC collectibles to Whitney Moore, Samm Levine, and Sam Humphries. The panel got a good look at some of Barrowman's old-school DC Mego dolls as well as some vintage comics. One of Barrowman’s most prized possessions was his copy of Justice League of America #94 signed by its penciler Neal Adams. 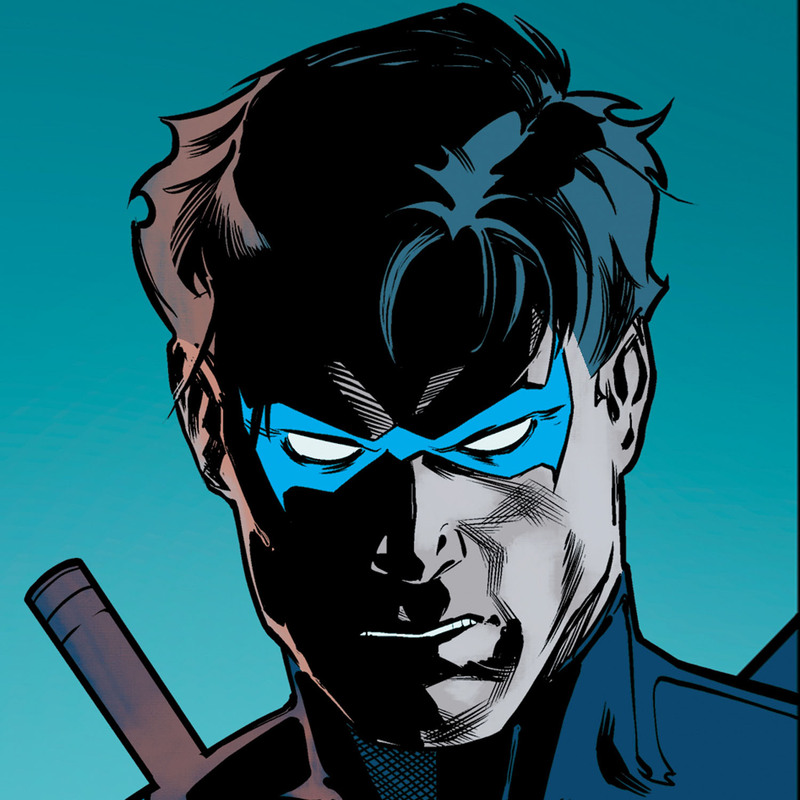 That comic holds a very special place in Barrowman’s life since it features the first appearance of Malcolm Merlyn, the villain John brought to live action in TV’s Arrow. On Thursday, January 3rd, DC artists Nicola Scott and Liam Sharp were featured in a special "Secret Origins" segment. The two spoke about their history as DC fans, how they broke into the industry and bonded over their love for Wonder Woman. Afterwards, the DC Daily panel (John Kourounis, Samm Levine, Sam Humpries, and Markeia McCarty) talked about 2012's Batman Annual #1 and how it offered a different take on Mr. Freeze’s origin. Without a sick wife as his motivation, does Mr. Freeze have any humanity? “Sometimes bad guys are just born bad," Samm said. On Friday, January 4th, the DC Daily panel (Hector Nevarro, Sam Humphries, Brian Tong, and Harley Quinn Smith) were joined by DC Comics writer Jeff Loveness to discuss the classic Batman: The Animated Series episode “Heart of Ice”, which offered the first major revamp of Mr. Freeze's origin. The panel was treated to Hector’s surprisingly accurate Mr. Freeze impression, and the gang talked about the impact of the episode. “That writing is part of why this episode won an Emmy," Hector reminded the panel after discussing the emotional beats of the script. If you missed any of the action, DC Daily can be streamed every week right here on DC Universe. And if you thought 2018 was a great year, just wait until you see what DC Daily has to offer in 2019. You won’t want to miss any of it – after all, you never know who might stop by the couch. Are you a DC Daily fan? Let us know in our Community!